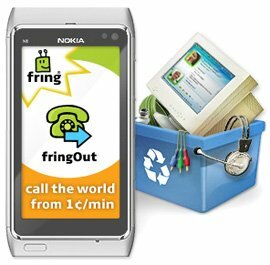 fring has just introduced fringOut, a new service that enables users to make cheap calls to any regular landline or mobile phone anywhere in the world, with rates as low as 1¢ a minute. Rates for Canada and UK are even lower — 0,6¢ and 0,7¢, respectively, US calls starts at 1,2¢ per minute. fring users will still be able to use other SIP service through fring (“We are sure you’ll love fringOut’s simplicity and its low prices. If for some reason, you still want to use other SIP providers, you are welcome too,” the company says). The company informed that its new service is currently available for Nokia S60 (Symbian) devices and will soon be available on iPhone and Android. “Hundreds of millions of people have tried low-cost internet calling on their PC or through restricted mobile offerings. 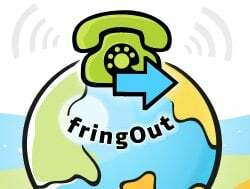 With the launch of fringOut, fringsters can benefit from internet calling with the convenience of mobile without cumbersome wires and cables." said Avi Shechter, Co-Founder & CEO of fring. "The fringOut service joins our leading video service, to create a fun, internet-rich, cost-effective mobile experience for our thriving community of tens of millions of fringsters," he added. fring users can choose how they communicate with their friends including using fring internet calling to other fring users and other communities, fringOut, SIP or GSM.